And imagine a world without music . . . .
All the music in the world . . . Following Falu (Falguni Shah), "Sufi rock singer"
(To enlarge, click on the photo.) 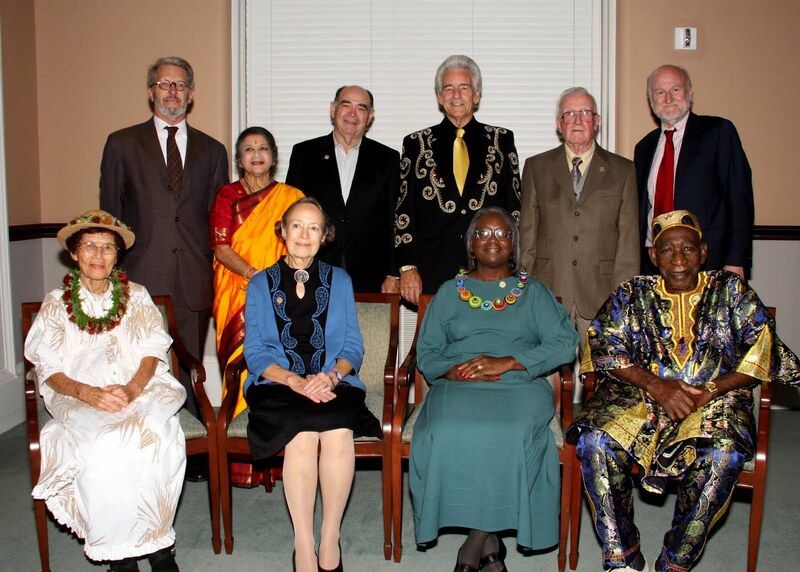 In the back row from left to right are: NEA Director of Folk and Traditional Arts Barry Bergey; Bharatanatyam Indian dancer Kamala Lakshmi Narayanan, fiddler Jim “Texas Shorty” Chancellor, bluegrass guitarist and singer Del McCoury, Irish flute player Mike Rafferty, and NEA Chairman Rocco Landesman. In the front row, from left to right, are: lauhala (palm leaf) weaver Gladys Kukana Grace, folklorist and editor Judith McCulloh, sweetgrass basketweaver Mary Jackson, and Ghanaian drum master Yacub Addy. (Afro-Cuban drummer and drum-builder Ezequiel Torres is not pictured.) The above photograph was taken by Michael G. Stewart (and used with permission from the NEA) at a ceremony at the Library of Congress on 22 September 2010. As noted, the musical genres represented this year included Ghanaian and Afro-Cuban drumming (Afro-Cuban drummer and drum builder Ezequiel Torres does not appear in the picture), bluegrass music; and the Irish flute. The music of South India (also known as the Carnatic tradition), moreover, is the idiom of Bharatanatyam dance. I very much regretted being unable to attend this year's Strathmore "concert" (I was in Denver for the fiftieth reunion of my high school class--of which more later), for the event has always been for me a high point of of the cultural year. I had attended my first National Heritage Awards celebration when I had come to Washington in 1986 to join VOA as the Chief of the Urdu Service, having found the folkloric tradition as one of my avenues of discovery of the communicative powers of music. The splendid narrator for the evening was the late Charles Kuralt, host of the incomparable "CBS Sunday Morning" television show, which more than any other news program before or since quietly but eloquently celebrated the diversity, humanity, and vitality of the American heartland. I remember that evening with crystalline clarity (having moved after 26 years of university study and teaching to broadcast journalism) as carrying a spiritual message that inspired me, in my new and exciting career, to explore culture as a medium of understanding universal values among humankind. I'll update this site as further possible podcasts and the archived video of the event become available. Last year's Strathmore program was featured on the 23 December 2009 edition of American Routes, and can be heard here.